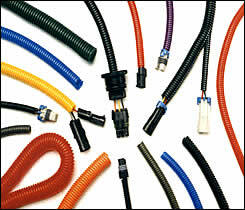 Our company offers the entire line of Wire Conduit / Convoluted Tubing from Drossbach. Please see below the materials and the codes for these products. 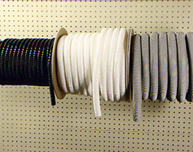 Our company also offers custom and specialty tubing, manufactured in a variety of thermoplastics, with various shapes and sizes. We can provide full service to customers by manufacturing parts specifically for you. Please contact us for all your specialty requirements. 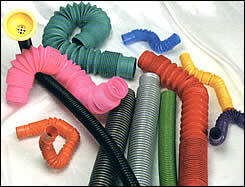 Contact us Today for more info or to buy Drossbach Wire Conduit / Convoluted Tubing.